WOW, it's been a real whirlwind around here. I just got back from 5 days in Las Vegas!!!!! 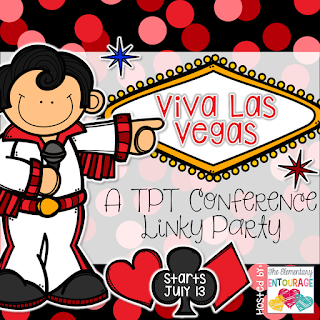 I went to the TPT Conference, of course, and had a total blast!!! We stayed at the Venetian which is the largest hotel in the world aparently. Here's a photo of the Grand Canal, Vegas Style. If you look very carefully you can see their little heads poking up. We took this 3 years ago, so they are a bit bigger and older now. So much to say and where to start??? The best part of this conference was meeting new friends, and I met a ton. I met a great group of Canadians. Here's some of us from Vancouver. That's me with Shelley from "The Write Stuff Teaching", and Suzanna from "Whimsy Workshop". There was also a strong group of Canadians. Here's a small group of us from all over Canada. I met a few TPT staff. They had an international sellers luncheon and we learned about TPT's plans to adapt to a more international marketplace. Apparently Canada and Australia are the second and third largest markets for TPT. This is me and Adam, the CEO of Teachers Pay Teachers. And me with Taylia, and Karen who head up the international team at TPT. And finally I was thrilled to meet a few rock stars of TPT. I had some camera issues so I didn't get photos of everyone I met. This is me and Krista from Creative Clips! And me with the absolutely amazing Deanna Jump, and her awesome partner Deedee Wills. Hubby and I stayed another day and did some sightseeing and had a great day on Saturday. Sunday was spent travelling home. We got home just before midnight on Sunday, so please forgive this disjointed post. I will come back to this later to add in names and links of all the great people I met. 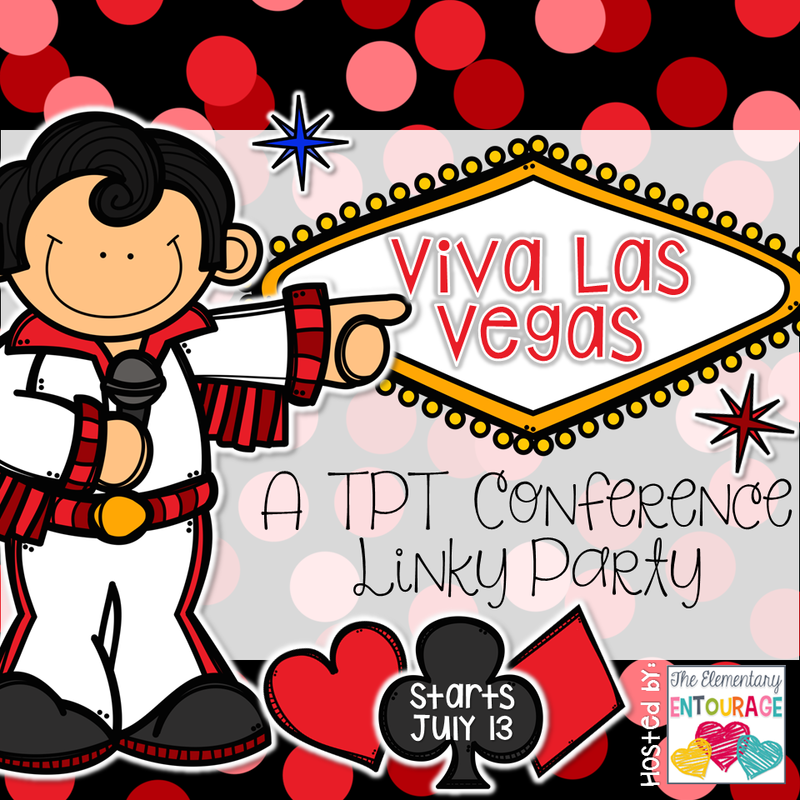 I rushed to get this post in for the Viva Las Vegas linky party being hosted by the Elementary Entourage. Hop on over and check it out. Hi there! We were in the tptpenpals group together! It's sad that our group fizzled out isn't it? I guess we needed a more clear focus? These are great pictures. I was so overwhelmed by all the people. I live in a tiny town of about 1000 people.. and well, there were that many at the conference! Thanks for sharing your experiences! Great pictures! I met someone from Canada while I was there. She gave me Smarties that taste like M&Ms and we had a nice conversation about the differences in how we bring home milk from the store (bag versus plastic containers). A lot of fun!